Introducing aromatic plants into your garden adds a sensual and natural touch to your home environment. Creating a garden around your home is a wonderful lifelong project. 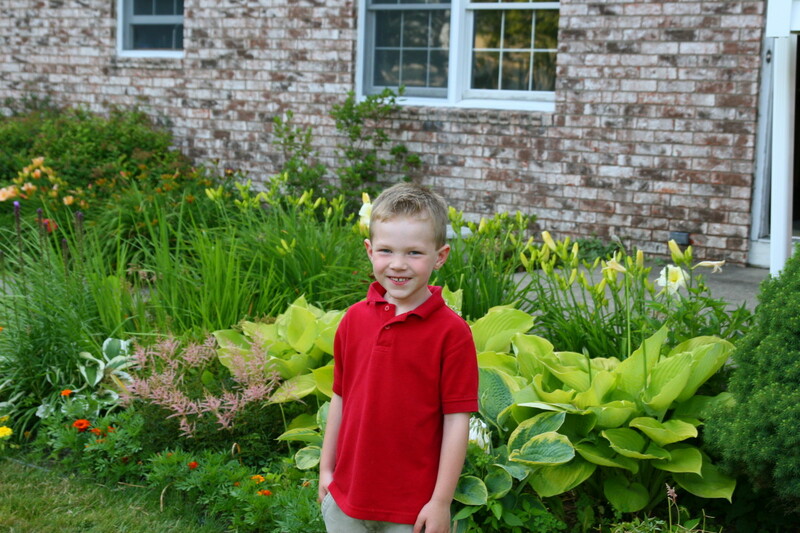 There are so many aspects to a garden plan - trees, shrubs, flowers, etc. We tend to think of size and shape, color and texture; the overall picture we want to create, lighting and shade. Most of us buy whatever is on sale at the local garden center, or merely go for familiar favorites. 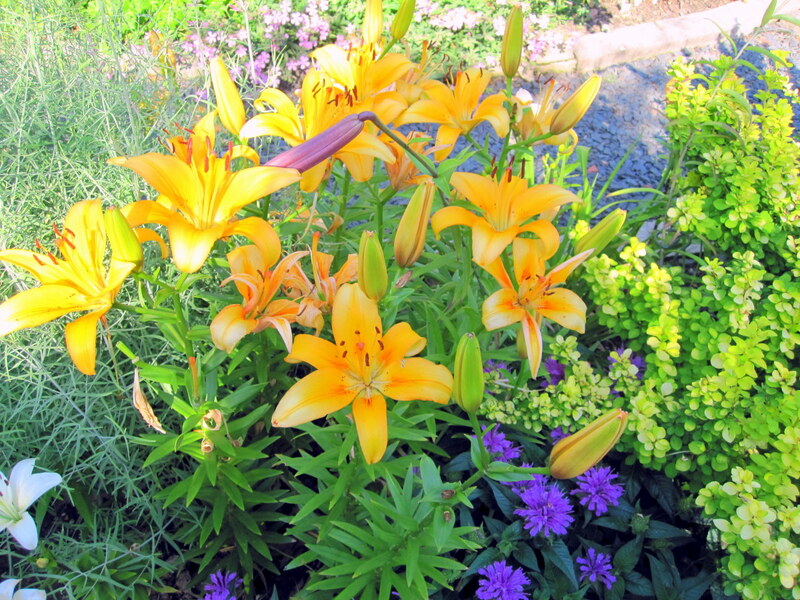 We often neglect the value of adding scented plants to our home landscape. In fact, many of today's popular rose hybrids have had the scent bred out of them in a genetic trade off in favor of repeat blooms, disease resistance, length of bloom time, or bloom size. Yet, older roses, and some modern hybrids offer excellent aromas, but may be difficult to locate, and not often available at the big box garden department. Look for aromatic plants at locally owned garden centers or nurseries. They will offer a selection that grows well in your area. Aromatic plants add a special touch to a garden, creating a sense of romance and a special kind of beauty. Scent can take us back to childhood, or call up a memory of a special place. Boxwood, for example, may offend some people, but please others. When I first selected plants for my own home, I chose according to what would look attractive, giving little thought to aroma. In the past several years, I've begun to add aromatic plants to my yard, near the front door, and around seating areas. 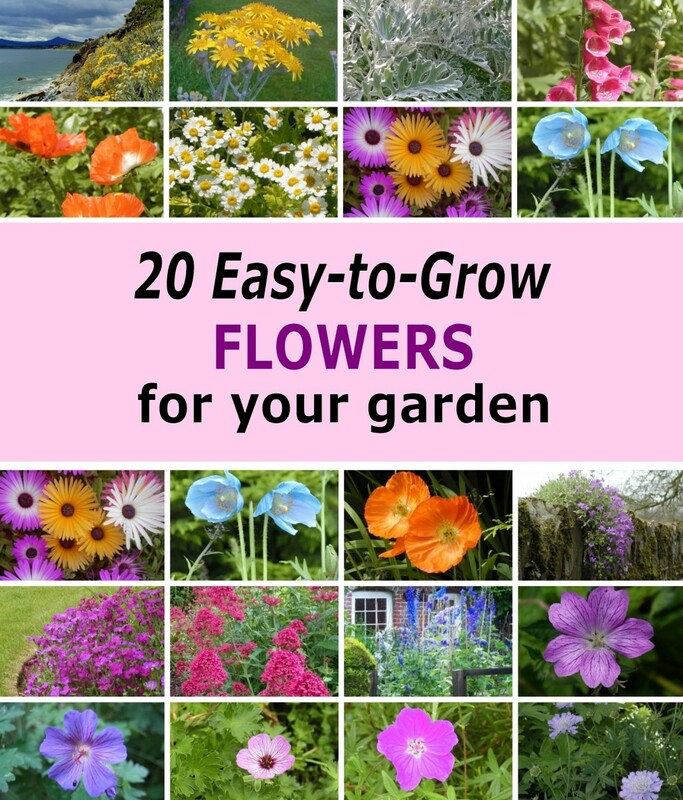 Below is a list of scented plants that are easy to find and easy to grow. People of the past took great pleasure in aromatic plants. They have been used to make essential oils used for medical, therapeutic , and even magical purposes. The Ancient Romans loved scented plants and wore scented floral wreaths. Lavish banguet tables were decorated with scattered roses and rose petals. Back before the invention of deodorant, aromatic plants were a mainstay for gardens. People gathered small sprigs of herbs and scented flowers to carry or wear to disguise unpleasant body smells. During the 18th century, the flowers used for English bouquets were chosen primarily with scent in mind. Common belief held that the perfume of aromatic flowers and plants could ward off infectious disease. Women carried small bouquets called a nose-gay or tussie-mussie. Scented flowers became so popular, they were worn in the hair or tucked into clothing at the neckline and waist. Today many flowers grown for the floral industry have so little scent, they have scented spikes to add to a floral arrangement. Linden trees have a powerful yet sublime scent when they flower in summer. They hauntingly beautiful fragrance can be detected at some distance. 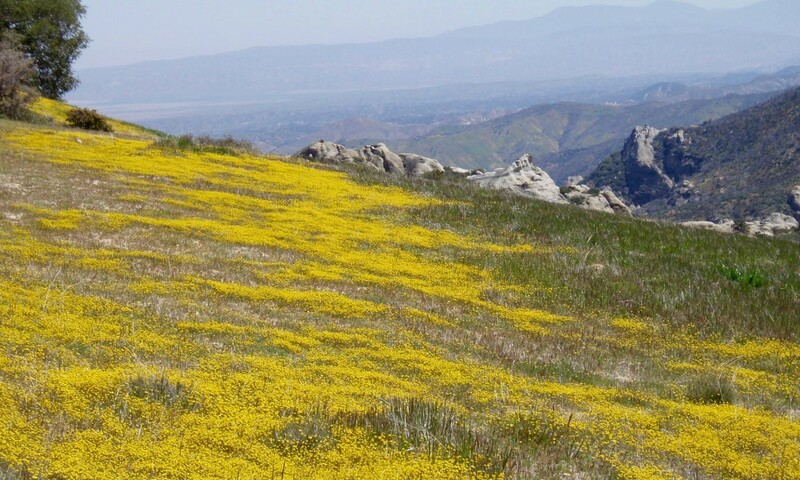 However, Lindens are known to attract bees. 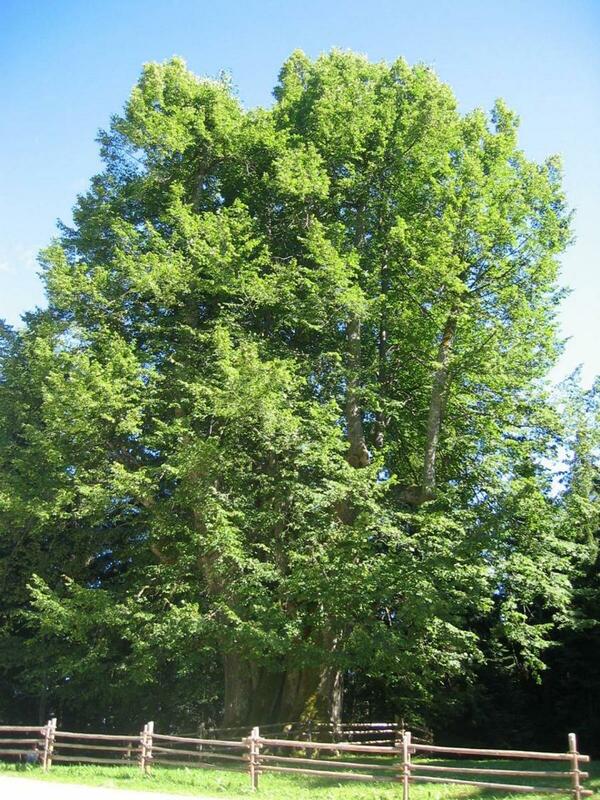 They also can create a mess of sticky sap, so do not plant a Linden near parking areas. 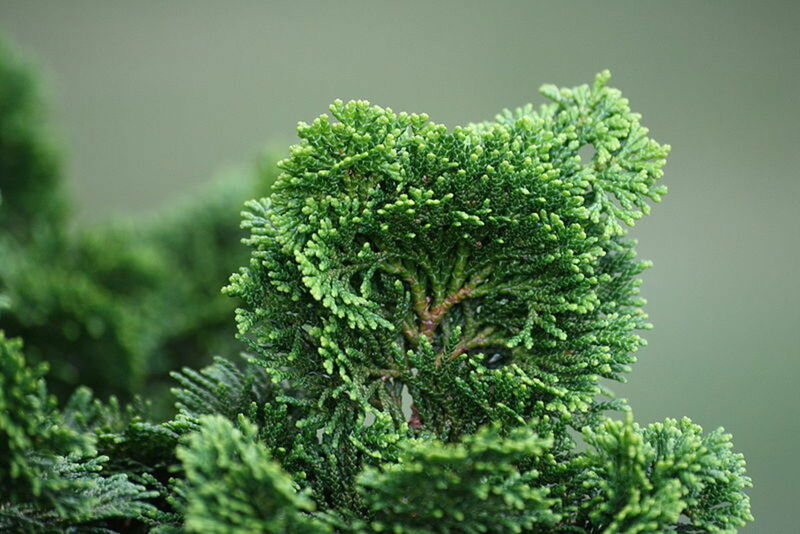 Cedar trees offer a subtle and soothing scent and come in a wide variety of shapes and forms. The evergreen nature of a cedar also provides year round visual interest to your yard. 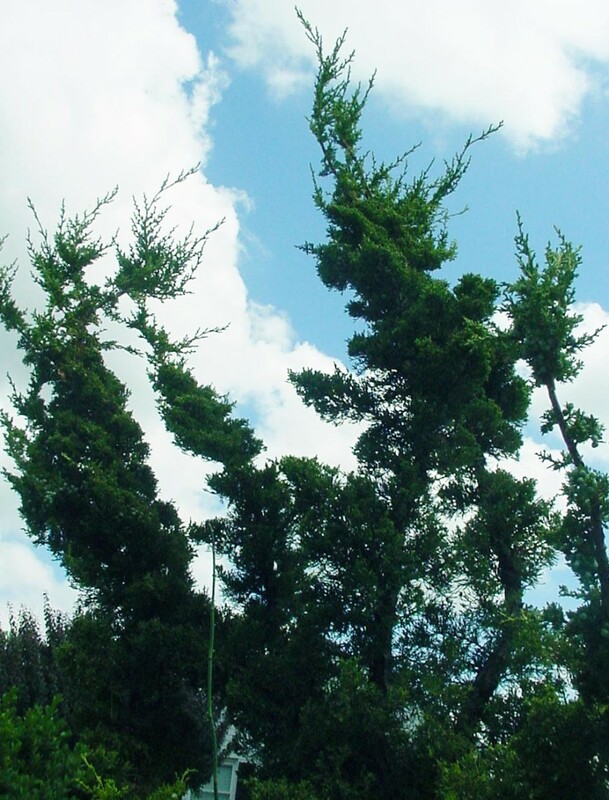 The Honoki cedar (pictured on the right) has attractive, flat sprays of foliage and a delightful lemon-like aroma. Fir trees, particularly balsam fir, provide the wonderful perfume we associate with Christmas. Balsams are best grown in cool northern areas and do not do well in hot climates. Firs grow in an attractive conical shape, and are the quintessential Christmas tree. Junipers, whether in tree or shrub form smell fresh and clean. Juniper is a hardy evergreen that produces small blue-ish colored berries that smell like gin. Choose one that grows best in your area. Magnolia. 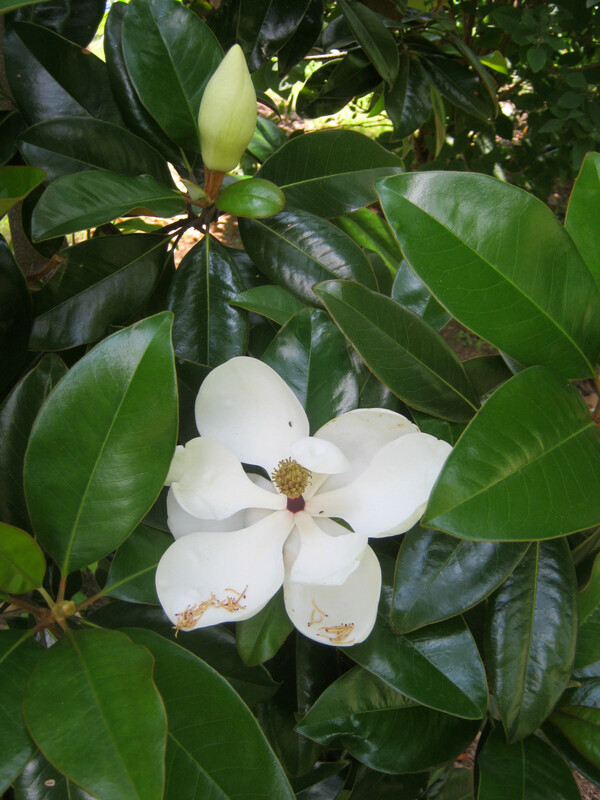 While there are many magnolias, the Southern magnolia and Sweet Bay magnolia produce large, waxy, creamy white blossoms that smell heavenly. Southern magnolia is a very large tree with a 40' spread. Sweet Bay is a smaller version and more frost tolerant than Southern magnolia. Both have large, thick, glossy evergreen leaves that are attractive in Christmas wreaths and winter decorations. The fruit of the tree is large and unusual and makes an interesting addition to dried flower arrangements. Pine trees. The fresh, clean scent of pine trees can create a wonderful, natural feel to a home garden. White pines are highly aromatic tall growing evergreens with a wide growing habit. 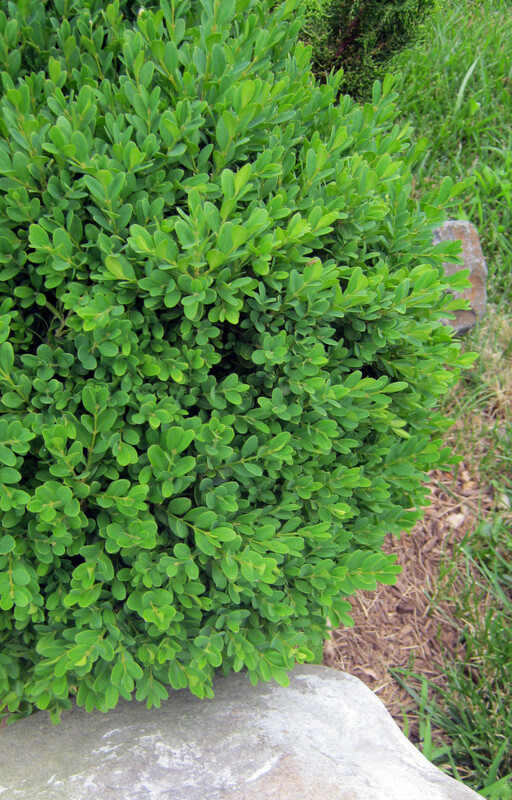 Boxwood is an evergreen shrub with densely packed small oval leaves. Large and small varieties are available. Boxwood takes well to pruning and are are popular topiary shrubs. The pungent smell of boxwood reminds some folks of cat urine, but I love it for its associations with old historic gardens. Eucalyptus is a tree or shrub with pointed oval, or round grayish green leaves. Eucalyptus is often used in dried arrangements, or hung on doors for their clean, delightful scent. 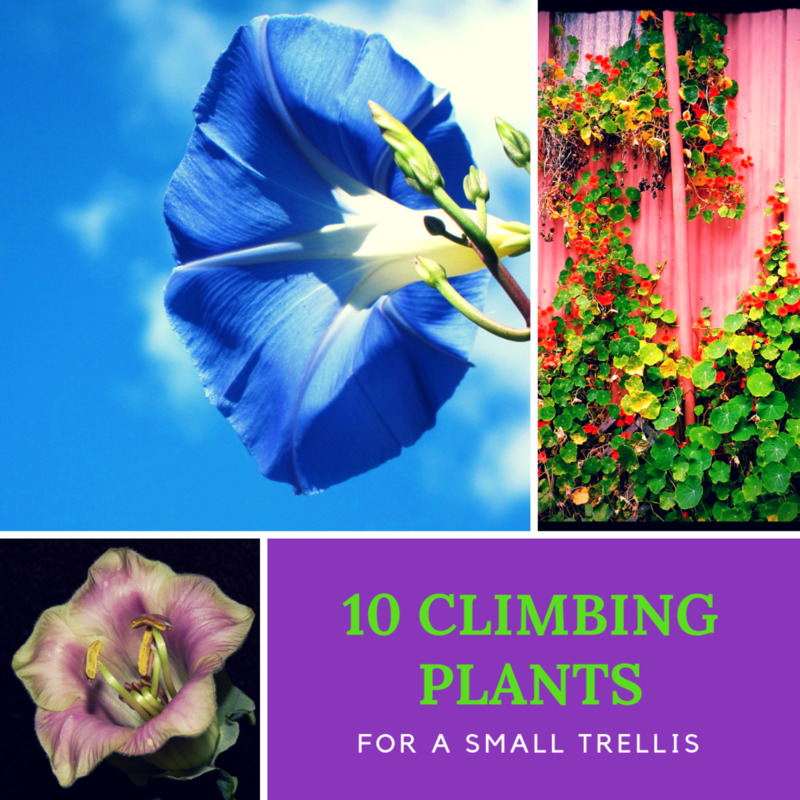 Most are not frost tolerant but small plants can be moved indoors for the winter. Lilac is a large growing shrub with heart shaped leaved and large clusters of small flowers that bloom in spring. During bloom time, lilacs provide a heady perfume that can fill the neighborhood. Roses - many roses have had their scent bred out of them. 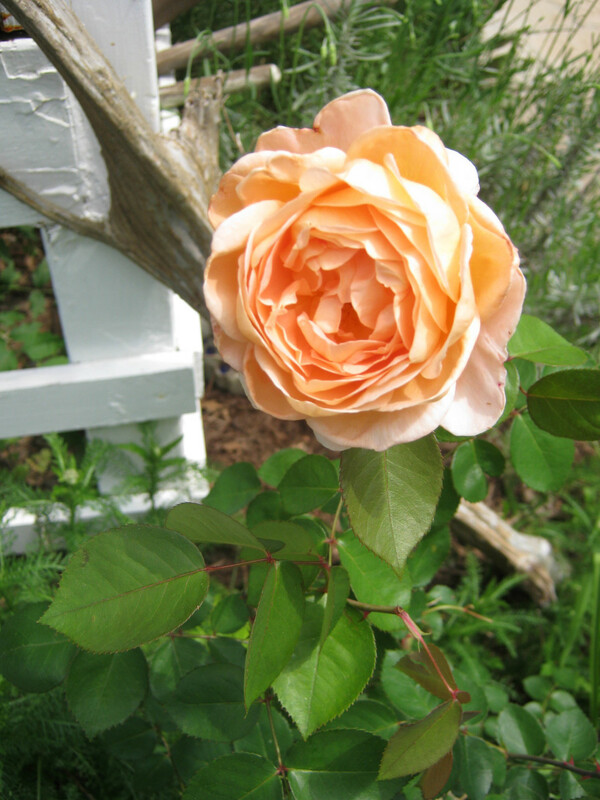 For aromatic roses, try old roses, David Austin hybrid roses, Rosemary Rose, Rosa serafinii, or rose primula. Sagebrush of the Artemisia family, is a tough shrub of the American West with gray green leaves. The tough desert plant smells strongly of sage when it rains. Sagebrush also has many medicinal uses. Many spring and early summer bulbs provide a sweet perfume, but some are more aromatic than others. Hyacinth is an early to mid spring blooming, low growing plant with thick, vertical sword like leaves. Small waxy flowers in white, yellow, pink. purple, or shades of blue and violet grown in a sturdy cluster offering a strong sweet scent. You don't have to bend over to enjoy the aroma of a hyacinth. 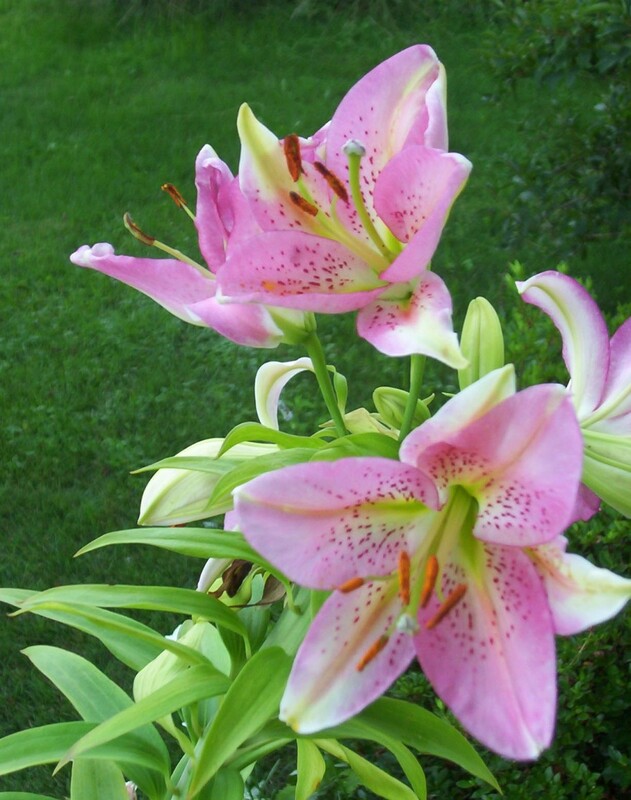 Lily of the Vally is a late spring blooming, low growing plant with tiny bell shaped flowers and a sweet, perfumey scent. Lily of the Valley grows best in partial shade and looks lovey under trees. Oriental Lily - of all the lilies, the Oriental Lily has the strongest aroma, so strong, that it is wise to limit the number of them in a bouquet. The scent is intoxicating, the flower large, waxy petaled, and very showy. Allysium is a low growing plant with fine, delicate foliage crowned with clusters of tiny white flowers. Dead head for repeat blooming. Allysium easily reseeds. The flowers smell like honey. I've grown them in containers by the front door for a sweet welcome. 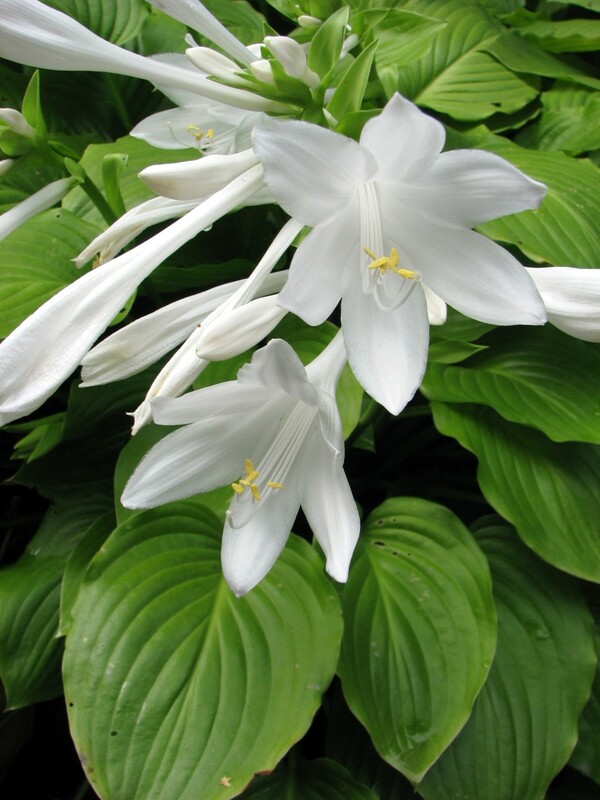 Hosta - many hostas send up aromatic blooms on tall stems. The attractive foliage with its large, heart shaped leaves grows well in the shade. 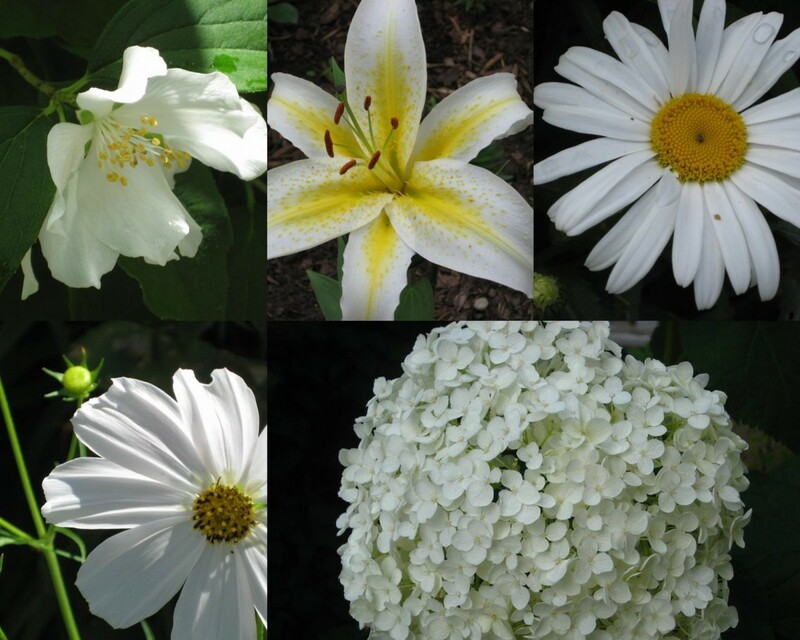 The flowers have a delicate scent that seems to smell best in the evening. Moonflowers are huge white flowers that bloom at twilight. Easily grown from seeds, moonflowers used to be planted near outhouses. The bright luminous flowers showed the way in the dim light and added a light scent to an area that needed it. So many types of herbs come in handy to use for cooking. I like to grow herbs near the back porch to make them easy to get at, and so enjoy the scent. Many herbs smell best in hot dry weather. Thyme is a wonderful perennial herb that can be included in lots of recipes. 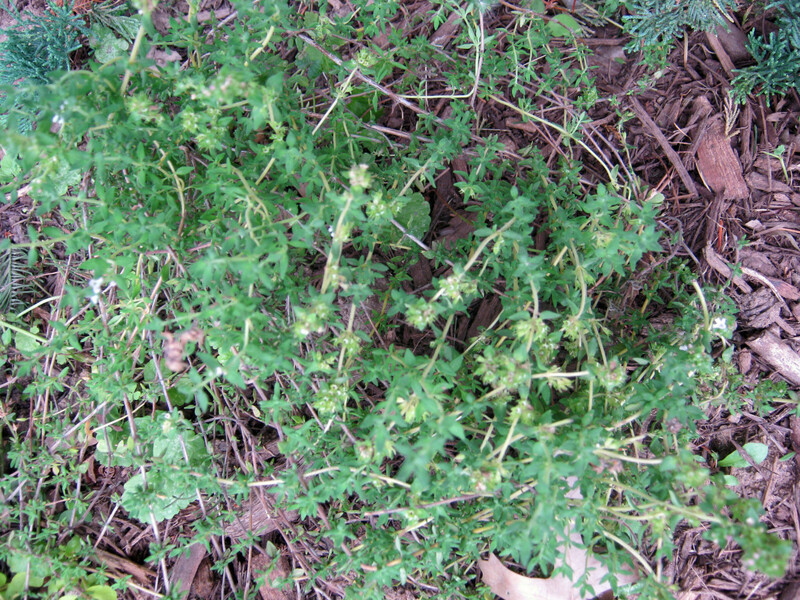 It can grow in a small shrub or creep along the ground. Plant low growing thyme between flagstones or along pathways. When you step on thyme, a delicious warm scent fills the air. 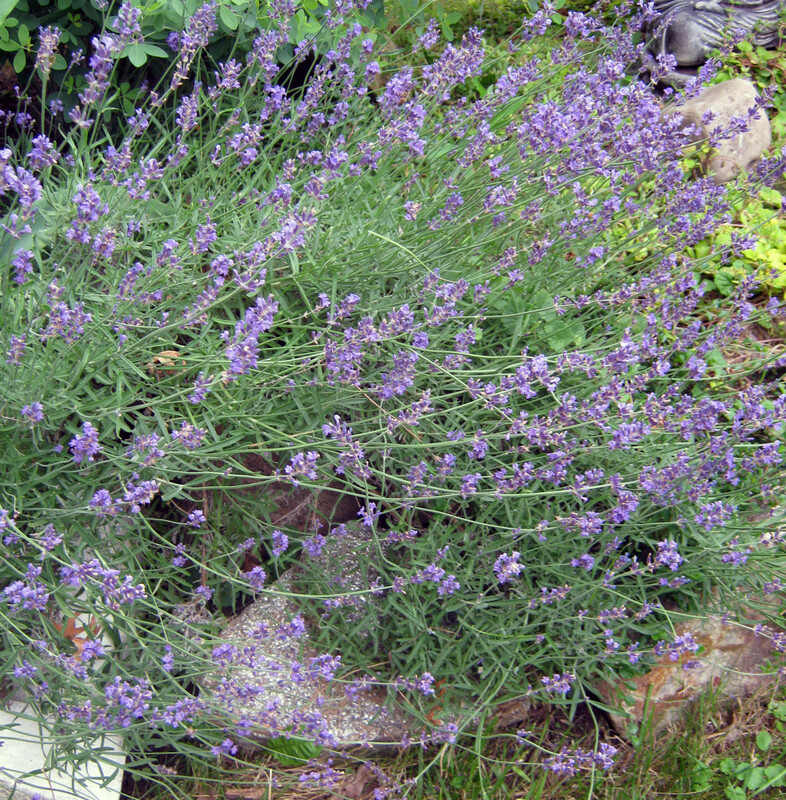 Lavender is another perennial herb that comes in many varieties. Famous for the cloud of soft blue flowers, lavender smells wonderful and makes an excellent addition to dried arrangements. 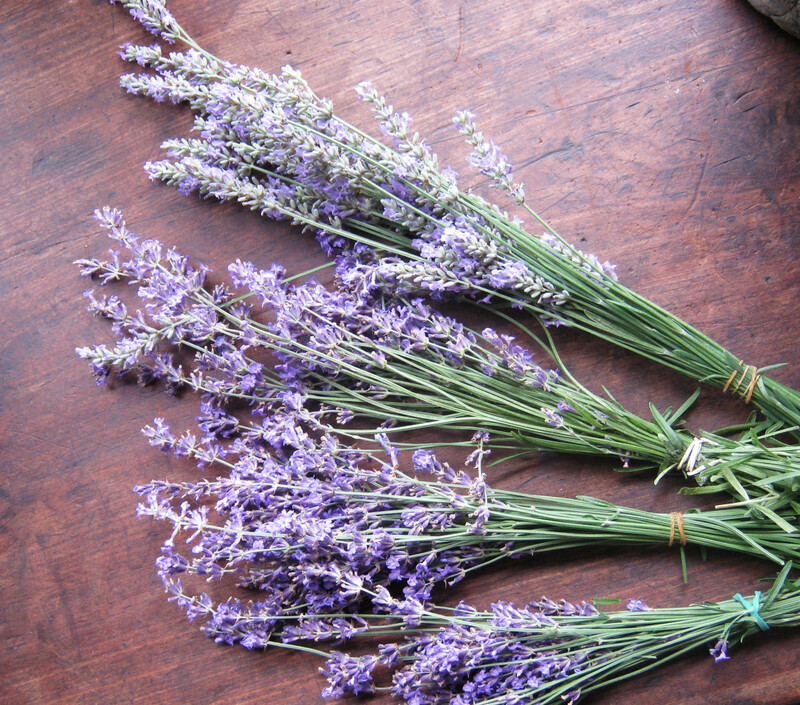 Lay sprigs of dried lavender in the linen closet for a refreshing aroma that lasts for months. 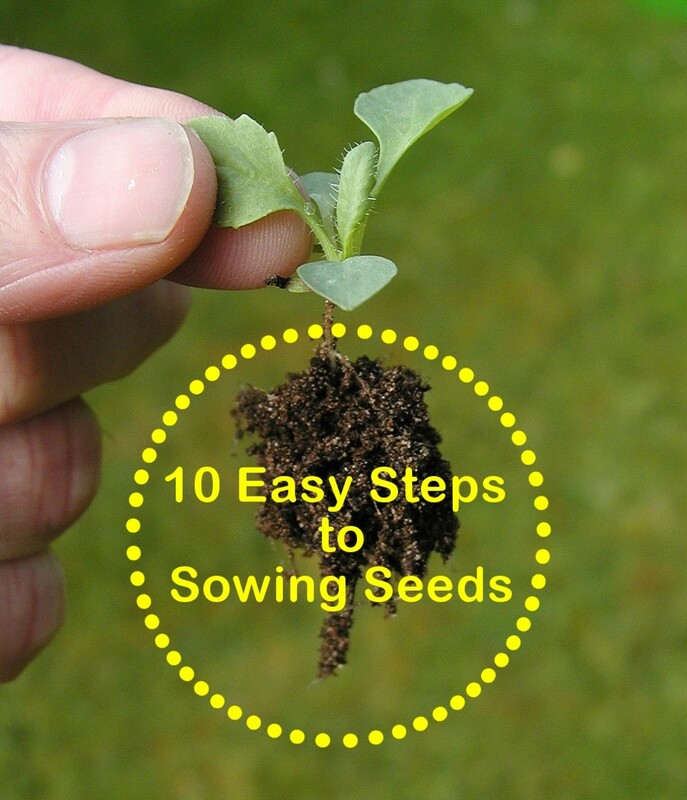 Lavender grows best in alkaline soil, and for years I tired to grow it with no success. In my area, acid soil predominates, but I decided to set a small piece of broken concrete just beside or behind it. Enough of the lime leaches out to provide the alkalinity that the plant needs. Rosemary is an aromatic herb with a refreshing aroma. 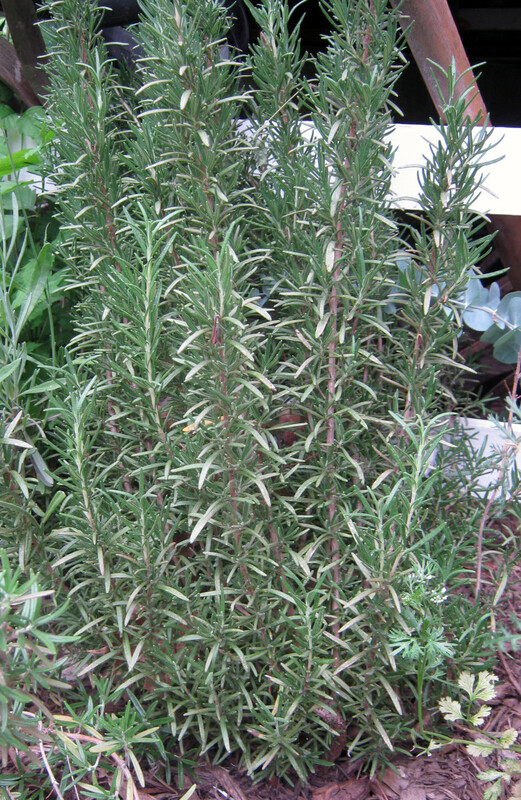 Rosemary plants are often trimmed to resemble little Christmas trees at the holiday season. Depending on your climate, rosemary may bloom with tiny blue flowers in spring. I thought I found a plant that looked a lot like a yarrow plant. It has large, clumping, feathery leaves, and it is very aromatic, with a slightly medicinal smell. What plant is this? Yarrow is a plant genus with 85 species so your plant may very well be a yarrow. Many members of that species feature aromatic leaves. Begin your hunt by checking out yarrow species. 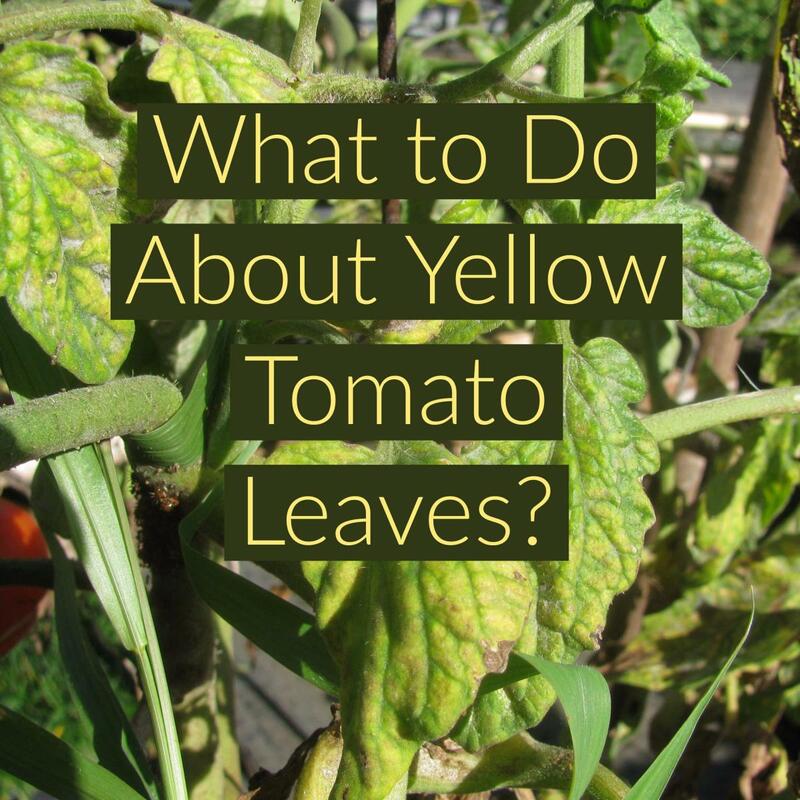 Many online sites can help you identify your plant. The USDA's site for the Natural Resources Conservation Service, Better Homes and Gardens, and many others will help you identify your plant. Also, there are numerous plant identification books. Of course, there is also an app for that! PlantNet and Leafsnap are just two that allow you to photograph your plant with a smartphone to find an answer. Hi Amaryllis - thank you so much! Some of the scents, like the juniper, are quite subtle. Oooh, I think that I should toss some lavender into the bathwater - just didn't think. That would be lovely and might help heal up all the cuts and scratches I get from gardening in short sleeves with no gloves! I bet the past smelled wonderful, there was so much nature, so many people living in the countryside. Cities would have been stinky, no doubt, from the people! haha. What a lovely hub. I love aromatic plants, but did not realise some of those you mention had scent. I love lavender and have been told that roman soldiers bathed in lavender scented water, it helped their wounds to heal. We always imagine that the past must smell horrible, but since scented herbs were often spread on floors, is it possible that indoors at least, the past smelled better than the present?